Recently bought a red 1.4 16v GTM Spyder H588 JBJ and having lots of fun with it. Anyone know the history or actual donor vehicle used for future spares, etc. It came with lots of receipts, etc. but no clue to which car or engine variant. I would think it's a Metro 1.4 GTI donor. I originally built my car with a 1992 1.4 MPI GTI donor [see photo].Looks pretty much the same. Same fuel filter, coil, plug leads, inlet manifold, can't see the ECU though. I can see you have a 1.4 gear change so it will be a 1.4 [R65] gearbox. Have you still got a cable clutch, if so you might want to have a spare made or convert to hydraulic. I can let you have the chassis no from my donor if you need a chassis no. to get any spare parts. Hi Bob, Useful info as well re the gearbox - thanks. Yes please, a donor chassis number would be a useful reference. Do you still have my email address to keep it off the public face of the forum? This is an old post, so I hope it finds you well. Your car was built by my Grandfather, David Eustace. I was visiting him at his home near Needham Market in Suffolk at the weekend (where he built the car) and we happened to "Google" the reg plate and came across this post. I have attached photos shortly after the build was complete. One of the photos of the car in the workshop features the car with the donor car reg plate, which was a Metro GTI. 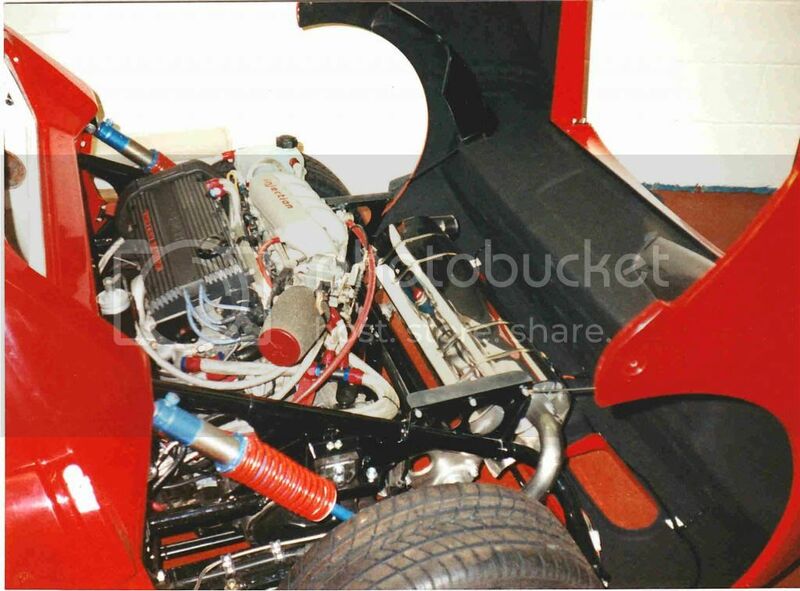 I remember the first time I had a go in the car once it was complete, it was pretty loud, so he fitted with in-line silencer in-front of the silencer to keep it quiet. Fantastic car. He's built many kit cars since the 1960s, including Mini-Marcos' and Lotus Elan's. Looks like you are based in Huddersfield (Spyder register), but if you ever find yourself down his way then he would welcome a visit.